With mid-terms elections a mere 10 days away, today’s post is political … and controversial. I hope you’ll weigh-in, whether you agree or not. And come November 2, you’ll vote. The election outcomes will decide if you Live Well For Less … or not. Political correctness is stifling America. Vivian Schiller, President and CEO of NPR fired Williams saying his statement violated journalistic standards. NPR should be ashamed. Juan didn’t break journalistic standards. Right or wrong, he expressed his feelings. Another recent example of social tyranny is the collective temper tantrum thrown by hosts Whoopi Goldberg and Joy Behar on The View. Are O’Reilly’s remarks offensive to you? Should he have qualified them by tacking on the word “extremist”? I don’t think so. To most folks, that point is understood. Common sense tells us that the vast majority of Muslims are not extremist. 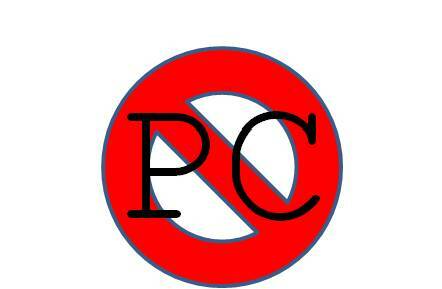 Where do you stand on the issue of political correctness? Are you on board? Or fed up? “It was intended that when Newspeak had been adopted once and for all and Oldspeak forgotten, a heretical thought … should be literally unthinkable, at least so far as thought is dependent on words.” – George Orwell, 1984. Great post! Well written and thought provoking. Thanks for taking a stand. Thanks for stopping by and weighing-in Jen. Have a great weekend! I think Whoopi and Joy were right to leave the set. Public figures have a responsibility that goes beyond you and I due to their influence. There are a lot of people that can’t or won’t differentiate between Muslims in general and the terrorists that attacked us on 9/11. Thanks so much for sharing your thoughts! I understand your point of view and agree it has merit. But … bad behavior doesn’t resolve differences. Barbara Walters didn’t agree with Bill O’Reilly. She didn’t walk off set. Civil discourse is one of many factors that make our nation great. Imagine how boring it would be if we all thought alike! We should be able to agree to disagree in a civil manner.